Radically tidy up the rear end of the Yamaha YZF-R125 '19- with this R&G Tail Tidy. Tidy up your bike's rear end with this R&G Tail Tidy/Licence Plate Holder for the Yamaha YZF-R125 '14-'18. Made from Aluminium and includes a rear number plate illuminator, powder coated black for durability and a high quality finish. Designed using the latest 3D scanning technology for an exact fit. Tidy up your rear end with this R&G Tail Tidy/Licence Plate Holder!Suitable for the Yamaha YZF-R125 '08-'13 onwards models. Note: micro indicators not included - see alternative product. R&G Aero Crash Protectors feature our stylish, aerodynamic Aero Bobbins and are available in Black. Suitable for the Yamaha YZF-R125 '19- models. R&G Aero Crash Protectors feature our stylish, aerodynamic Aero Bobbins and are available in Black. Suitable for the Yamaha YZF-R125 '15-'18 models. These crash protectors feature our stylish, aerodynamic Aero Bobbin and are suitable for the Yamaha YZF-R125 '08-'14. R&G Aero Bobbins are a stylish, aerodynamic, teardrop shaped bobbin improving on the original good looks of our highly successful and popular standard round bobbins. Fitted with a removable end cap which hides the bobbins fittings, this sleek new design looks superb and is a winner on road and track! Available in a durable powder coated black and titanium finish to fit the Yamaha YZF-R125 '14-'18 (Non ABS) model. This Radiator Guard is made from pressed aluminium and feature a neat, seamless frame (where applicable). They improve the looks of your bike and help to protect your expensive and vulnerable radiator from flying debris. 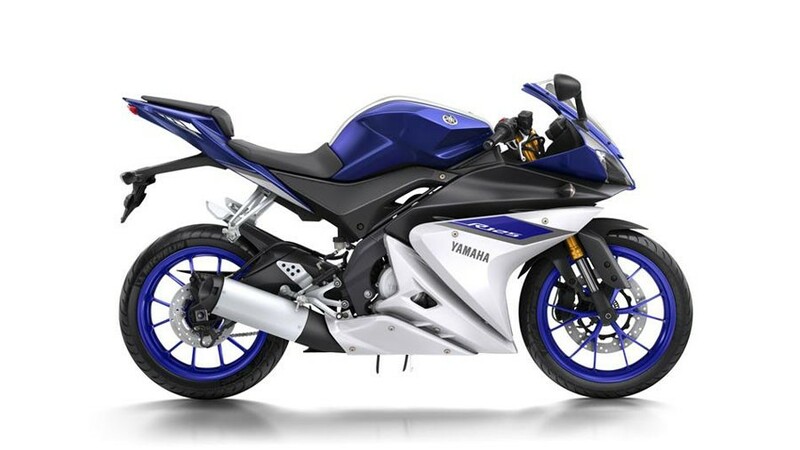 Available in a durable powder coated black and titanium finish to fit the Yamaha YZF-R125 '14-'18 (ABS) model. This Radiator Guard is made from pressed aluminium and feature a neat, seamless frame (where applicable). They improve the looks of your bike and help to protect your expensive and vulnerable radiator from flying debris. Suitable for the left hand side crankcase of the Yamaha YZF-R125 '14-, protecting the engine case from damage in the event of a crash or slide. Suitable for the right hand side clutch of the Yamaha YZF-R125 '14-'18, protecting the engine case from damage in the event of a crash or slide. Helping to protect those expensive levers and handlebars from damage in the event of a drop or crash. These bar end protectors are suitable for a range of Yamaha models. Click 'more info' to view more specific details. Suitable for the Yamaha YZF-R125 '08- and Yamaha MT-125 '14- models. This 2 piece R&G Tank Traction Grips have been specially designed for the Yamaha YZF-R125 '19- model. R&G Tank Traction Grips have been specially designed for the Yamaha YZF-R125 '08-'18. This 2-piece Boot Guard kit has been specially designed for the Yamaha YZF-R125 '19- models. This Boot Guard kit has been specially designed for the Yamaha YZF-R125 '14-'18 / MT-125 '14-. This Tail Slider kit is compatible with the Yamaha YZF-R125 '08-'18. This particular model fits the Yamaha YZF-R125 '14-'18 and Yamaha MT-125 '14-. These R&G Headlight Shields are specially designed to fit the Yamaha YZF-R125 '08-'18 models. R&G Headlight shields are engineered for protection and style. Protecting your expensive headlights from debris kicked up from the road, our headlight shields are easy to fit, with no modification needed to your bike and they are easily removed for cleaning. R&G Headlight Shields are made from clear acrylic and specially designed to fit a range of bikes that are ever growing. This R&G Fender Extender is compatible with the Yamaha YZF-R125 '14-'18 models. This full system has been specific engineered to fits the Yamaha Yamaha YZF-R125 '14 models in the "Serket" style. This specific Scorpion exhaust option is a full sysyem exhaust, fitting the Yamaha YZF-R125 '08-'13 models in the "PowerCone" style, as such the exhaust silencer part is available in a range of finishes ( Stainless Steel, Carbon Fibre or Titanium). Being a full system however, the downpipe(s)/header pipe(s) and linkpipe are only available in a stainless steel finish. This specific Scorpion exhaust option is a full system exhaust, fitting the Yamaha YZF-R125 '08-'13 models in the "Serket (Taper) Style" style, as such the exhaust silencer part is available in a range of finishes ( Stainless Steel, Carbon Fibre or Titanium). Being a full system however, the downpipe(s)/header pipe(s) and linkpipe are only available in a stainless steel finish. This specific BMC Air Filter has been made for the Yamaha YZF-R125 08-, WR125 09- R15 08- models.